Mumbai/New Delhi: The Reserve Bank of India (RBI) is likely to cut its policy interest rate by 25 basis points on Thursday, despite some analysts believing the country’s weakening economic growth and subdued inflation outlook warrant a larger reduction. The RBI’s six-member monetary policy committee (MPC) began its three-day review on Tuesday, and most analysts expected it to take a cautious approach given uncertainty over who will lead the government after the coming election and what their fiscal policy will be. Campaigning for votes, political parties have been promising dole-outs including direct cash payments to poor people if they win power, stoking potential inflation fears. 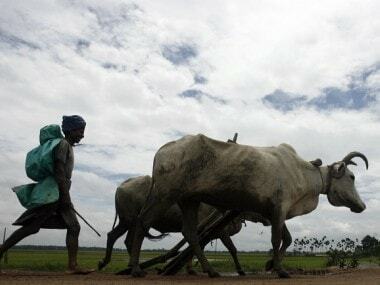 The inflation outlook could also be upset by the perennial risk of sharply higher food prices if the monsoon season rains disappoint. With that in mind, more than 85 percent of the nearly 70 economists polled by Reuters expected the RBI to cut its benchmark lending rate, the repo rate, by 25 basis points to 6.00 percent on 4 April. Yet, India’s debt market appear to have priced in a 50 basis-point cut. Trading at 5.90 percent, the one-year interest rate swap works out at 5.75 percent on a daily basis, putting it 50 basis points below the current repo rate, according to rate derivative dealers. 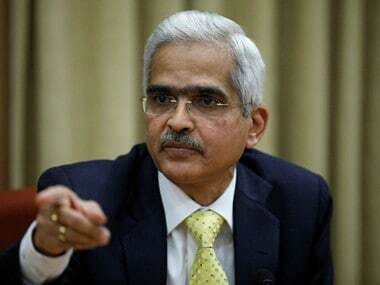 File image of RBI governor Shaktikanta Das. Reuters. “I think the RBI will be more cautious than what the market is expecting,” said Abheek Barua, chief economist at HDFC Bank in New Delhi. “We haven’t fallen off the cliff yet for a 50 basis point cut,” he said. 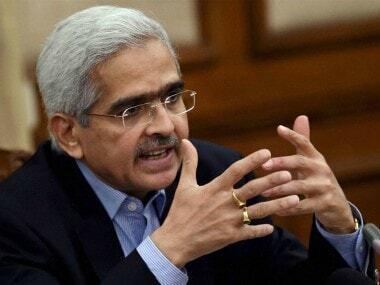 Whereas Prime Minister Narendra Modi’s administration clashed with the RBI’s previous leadership on several issues including rate cuts last year, relations improved after the government appointed Governor Shaktikanta Das in December. 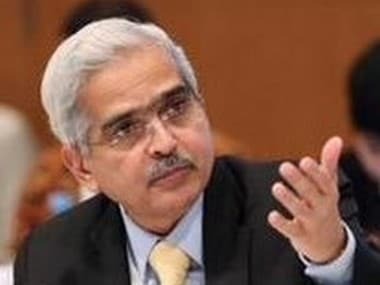 Officials with knowledge of the government’s thinking on monetary policy said there was no pressure on the RBI to make a sharper rate cut at this time, despite economic growth weakening to 6.6 percent in December quarter, its slowest in five quarters, and the unemployment rate hitting a multi-decade high. “The mandate of the MPC is to focus on inflation and if inflation is below the target it should cut the rate,” said an official privy to policy discussions. “Ideally there is a scope for 50 basis point cut now, but one has to be careful of any upside risks to inflation as well,” the official added. Annual retail inflation was just 2.57 percent in February following five months of deflation in food prices, and the RBI has projected a rise to 3.9 percent by the end of December. But that could change quickly if the monsoon fails or global oil prices surge. “We do not expect a drastic cut from the RBI, a calibrated approach would be our expectation, 25 basis points (bps) is more likely in our view. But, that is a call RBI has to take,” said a second government official. The MPC could be reluctant to make a deeper cut in any case, as banks only reduced their lending rates by a token 5-10 basis points after the RBI’s last 25 bps cut in February. “Savings growth has come down sharply and every bank is competing with another to attract depositors,” said a top banker at a very large state bank in India. “Under such circumstance we won’t be able to lower deposit rates, and in that case there is no room to cut lending rates,” he said, declining to be named due to sensitivity over relations with the central bank.